Established in 1989, we are a professional TV aerial installation and repair company. Based in Surrey, we operate throughout Greater London and South East England. We serve both domestic and commercial customers within our trade. Our aim is to provide a reliable, good quality service with high customer satisfaction. Since we began trading in the 1980's we have completed more than 30,000 jobs. The majority of our work comes from customer recommendation and repeat business. 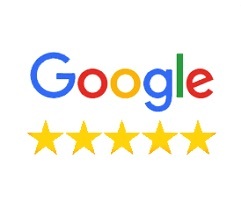 During a recent customer satisfaction survey 99.5% of our customers said they would use us again or recommend us. We are members of CAI and Checkatrade, we are also Surrey Trading Standards Approved contractors. Our Checkatrade customer feedback is over 99% positive. Some of our previous customers have included; Claridges Hotel, The Savoy, Dixons Group, Currys/PC World, Sony Centre, Bang & Olufsen, Panasonic, Philips UK and Richer Sounds, as well as some well known Development Contractors and Estate Management companies. Our work is covered by a comprehensive guarantee against faulty equipment and workmanship for a minimum period of 12 months. This means If you are not 100% satisfied with our service for any reason, we will recall to your home for free to rectify any problems you may have. All we ask is that you contact us promptly so we can help resolve any issue to your highest expectations. Our 7 day money back guarantee ensures that If you are not satisfied with our service, we will offer you a full refund. For extra reassurance, our work is covered by the Confederation of Aerial Industries double guarantee. It has taken us a long to build a good reputation and we aim to keep it like that. That is why we offer you simple friendly advice, free quotations and a fast reliable service. Our work is backed by the CAI and Checkatrade. 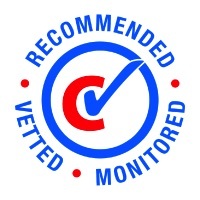 As CAI and Checkatrade members, we are vetted, monitored and regularly inspected which guarantees good quality service to the highest standards. We are also Surrey Trading Standards Approved contractors. For peace of mind background and CRB checks on staff indicate to the public that our engineers are regulated and trustworthy. Aerial Company provide comprehensive Aerial & Satellite installations and repairs throughout SW London, Surrey, Berkshire & Hampshire. 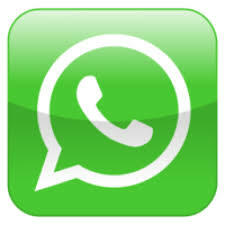 We have engineers installing daily in your area - Please contact us to take advantage of our same day response service.